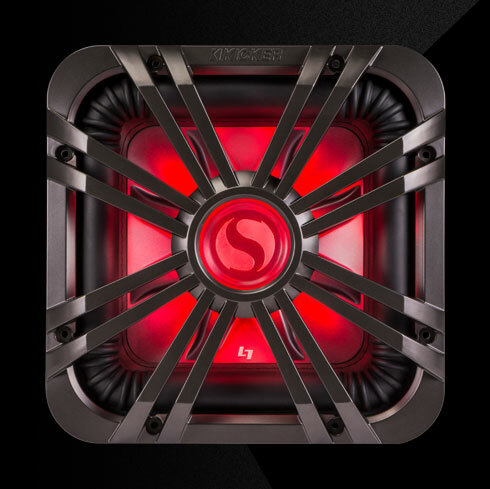 This grille, equipped with multi-color LED accent lighting that can be changed to fit your mood, protects and lights your Square Solo-Baric® L7™ woofers. 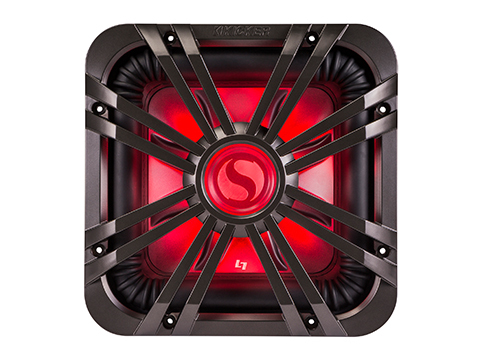 This charcoal grille protects your 10-Inch Solo-Baric® L7 woofers and comes equipped with LED lighting. 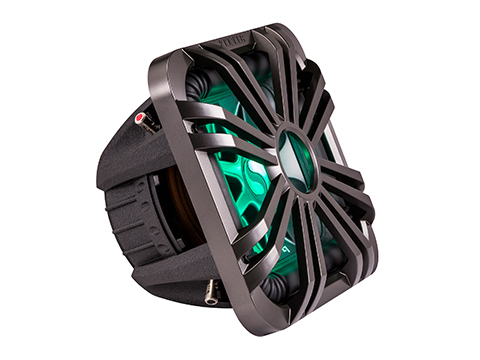 Customize your LED lighting to get the perfect look for your boat. 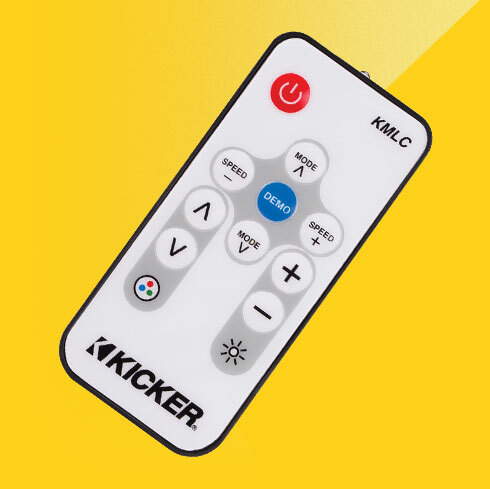 The KMLC remote provides multi-function control of LED lighting by managing 20 different colors and 19 dynamic modes, including adjustable brightness, fade, speed/strobe and auto save. 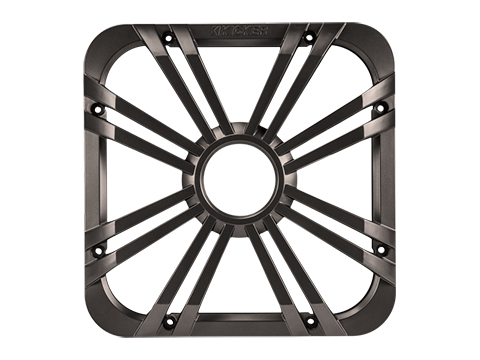 Find KICKER product manuals here. © , Stillwater Designs. All rights reserved. Copyright and Trademark Notice.